A good April Fools' prank makes everyone laugh, even the person who's the target of the prank. The key to pulling off a great prank is making sure no one is harmed by it. The following pranks will provide some April Fools' fun without compromising anyone's safety. This one is very simple to set up. Simply take a pin and poke a couple of holes in a plastic cup. Offer the person you want to play the joke on a drink and watch them try to figure out why the liquid is dribbling onto their hand and clothing. For safety reasons, don't try this one with hot drinks or with something like grape juice, which can stain clothes. You can get a good laugh out of anyone by making a far-fetched story appear true. 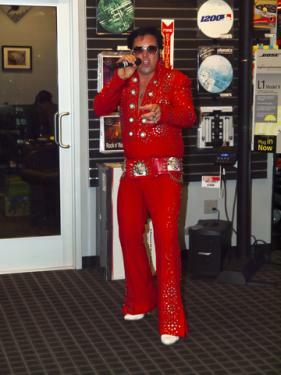 For example, insisting that you've been seeing Elvis for the past couple of weeks and hiring an Elvis impersonator to make an appearance at the end of the day could be very funny. For this prank, you will need a dollar bill and a piece of cloth. Place the dollar bill on the floor and position yourself a short distance away. When you see someone bend over to pick up the dollar, rip the piece of cloth at the same time. Try to avoid giggling as your target tries to check to see how bad the rip in his or her clothing is. Share a laugh with the person by showing them your piece of fabric and ripping it right in front of them and then plan who you can tempt with the dollar bill on the floor next! If you are looking for a good prank to play on a college roommate, consider setting his or her alarm clock to a time in the middle of the night and then hiding it. Your victim will not only have to deal with bring woken from a sound sleep far earlier than they had planned, but they won't be able to get the noise shut off right away. If you know the object of your prank has a good sense of humor and you are not particularly concerned about retaliation, take the extra step of unscrewing the light bulb from the closest lamp so that the person will have to search for the alarm clock in the dark. Offer a college professor an apple, but not just any old apple. Carefully carve out the core from the bottom of the apple so it doesn't show, and stuff a few gummy worms inside. When the teacher eats the apple and gets to the core, she'll have a good laugh. Pick up some "For Sale" signs from your local home supply store. Place them around campus early in the morning, and include a phony 555 exchange phone number on the sign. This may slightly annoy the staff, but fellow students will get a laugh out of it. Before you decide to pull a prank on a coworker, be sure it won't hurt your reputation or cost you your job. Definitely don't play a prank on your boss unless you're positive he or she will find it funny. Some bosses have a better sense of humor than others. Keeping all this in mind, see if one of these prank suggestions might work for you. This prank requires only one supply: a whole lot of aluminum foil. You will probably need three or four rolls. To pull it off, wrap everything in a coworker's office in foil, including office supplies, the desk, the chair and the computer. 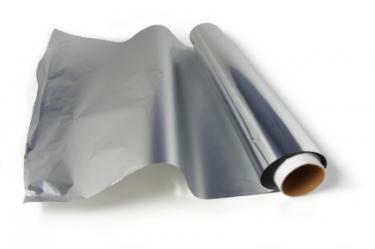 If you have extra left over, you can even cover the floor and the walls with foil. This part may require some masking tape. Find a cabinet in the office to fill with ping pong balls without anyone else in the office noticing. It can be hard to stuff them in there without them falling out, so give yourself some time to complete the task either by leaving late the night before or coming in early. Casually ask a coworker to fetch you something out of the cabinet and watch for the startled look on his or her face. It's important to use ping pong balls as opposed to heavier balls, like golf balls. Using heavier balls could cause someone to get hurt. Remember senior skip day in high school? Stage a (fake) one at the office. Talk to your coworkers and see if you can get everyone to agree to call in sick on April Fools' Day. Don't do so until the early morning so the boss gets a huge surprise heading into an empty office. Before he or she gets too upset, have everyone show up together, perhaps with a tray of donuts frosted to read "April Fool!" If your office consists of cubicles with walls that don't reach all the way to the ceiling, seal off the entrance to a coworker's cube with plastic sheeting. Once that's done, drop some items in the cube, filling it up from the top, like you would a swimming pool. Instead of using water, which could ruin electronic equipment and lead to electric shocks, pick a safer material, such as balloons, Styrofoam peanuts, shredded paper or soda cans. This prank is one that is designed to be played in an office, and you will need several participants to make it work. Get a number of people to call a particular coworker on April 1 to ask for someone named "Harold," "Fred" or another name you have chosen. At the end of the workday, have another accomplice call the target of your prank and identify himself as Harold or Fred and ask if there are any messages for him. Spur of the moment pranks have a way of turning out badly, so begin planning your prank well in advance of April Fools' Day. This includes picking out the right person to prank, as well as deciding which prank you're going to play. Some pranks may seem harmless and then get completely out of hand. For example, putting globs of Vaseline on a friend's windshield may seem like some harmless fun, but when he turns on his windshield wipers, the Vaseline will cover the entire windshield. This prank can result in a car accident which will hurt your friend and possibly other people on the road. To be clear, mean isn't funny, so don't go there. Don't try to pull off any fake breakups, death notices, or anything that causes hurt or distress because these kinds of pranks might inspire someone else to do something drastic with tragic results. Don't just set up your prank and wait to see how it will turn out. Try it out yourself before you try it on someone else. That way you can make sure it's truly safe. Harmless April Fools' Day pranks can make this day fun and memorable. Choose your target wisely to make sure that he or she can appreciate that joke and enjoy the fun as well. 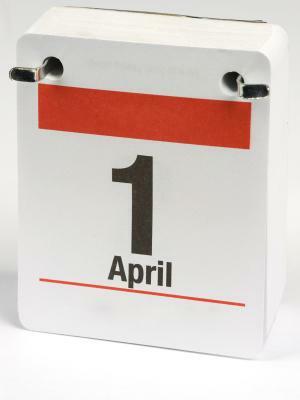 Be warned, though; you may find yourself on the receiving end of a prank next April 1.